Head to Botswana and spend a day at Chobe National Park on a day trip with a local Botswana guide at your side. 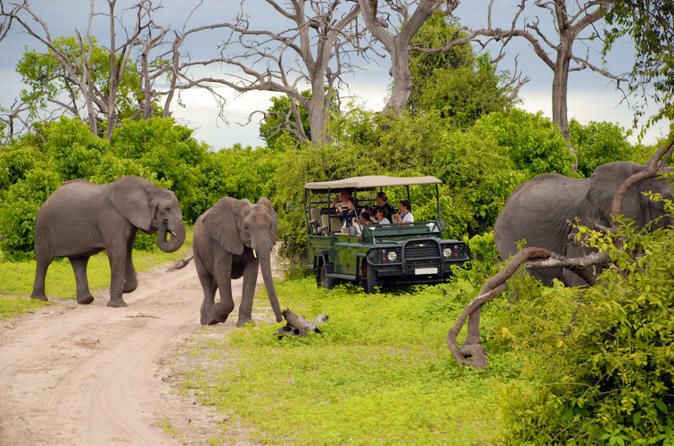 Step into a world of unspoiled savannah scenery and see Chobe National Park’s incredible wildlife, including its famous African elephants; a staggering 70,000 are estimated to live in the park. See elephants, hippos and more during a Chobe River cruise and afternoon game drive. A buffet lunch on the riverside at Chobe Safari Lodge is also included.